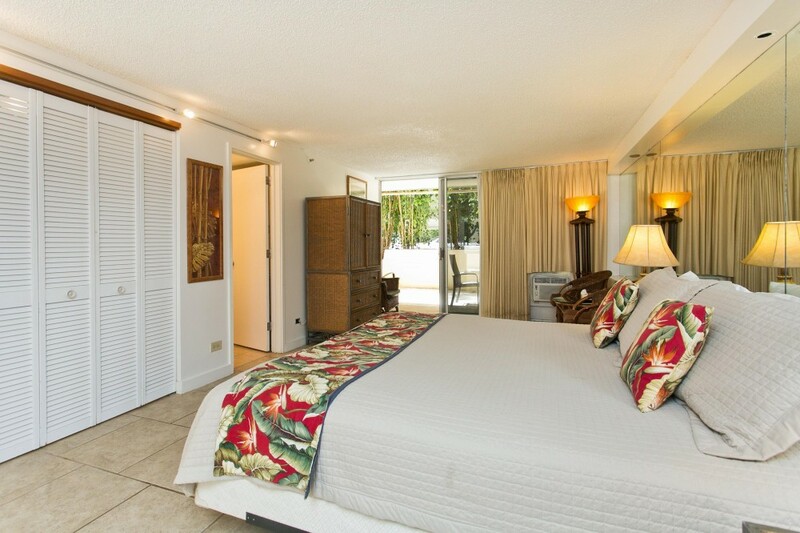 Come and experience the ocean front location of the Diamond Head Beach Hotel. Suite 105 is a ground floor patio unit with king size bed, remodeled bathroom with walk-in shower, plus kitchenette including microwave and coffeemaker and fridge. Stretch out and relax in this spacious suite. Enjoy evening sunset dinners on your extra-large lanai with outdoor seating and dining table.